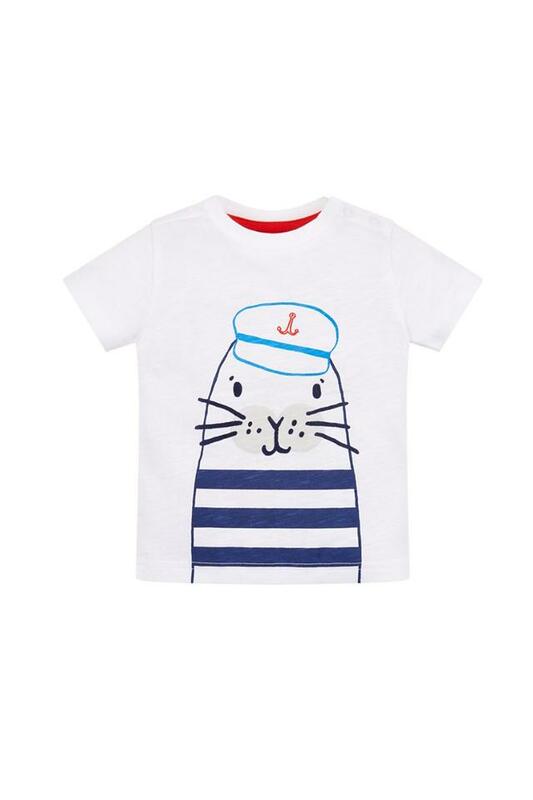 Bring home this t-shirt from Mothercare and improve the clothing collection of your little boy . 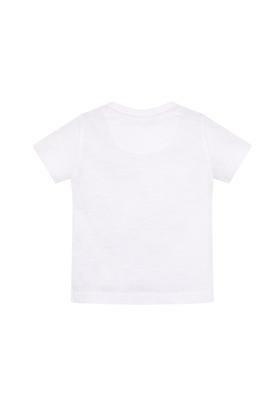 It has been tailored with a good quality fabric , which will keep you at ease for long hours . Besides , it features a printed pattern that is the main attraction . The round neck and the short sleeves add to the design . Bring home this t-shirt for your son to give him a cool and stylish avatar . He can team it with a pair of jeans and shoes to complete his casual look .